Have you noticed a foul odor when you run the well or city-supplied water in your home? Are your water fixtures marred with rust or green-colored stains? Are you concerned about the potential for high levels of arsenic being found in water samples within the Gig Harbor area? 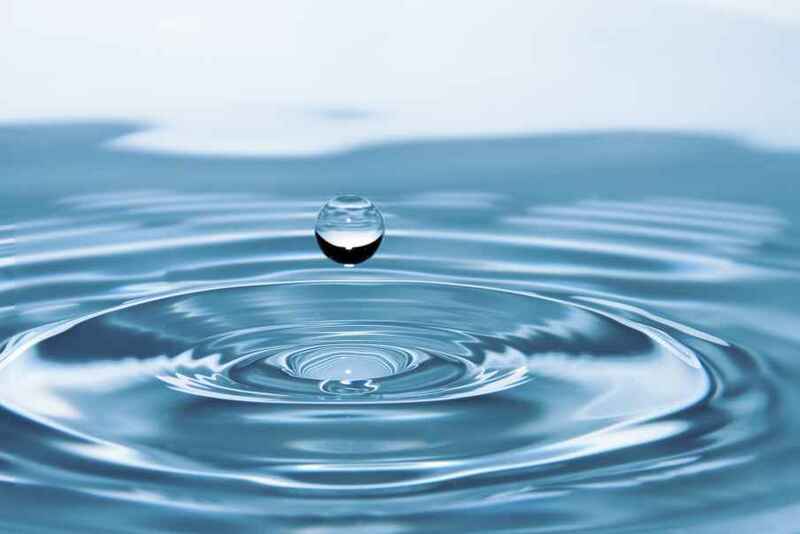 Find out what Gig Harbor water treatment can do to change your quality of life. Unfortunately, water problems are common all over Western Washington, and they can lead to costly plumbing bills due to pipe corrosion, unsightly hard water staining on your home's fixtures, and there is even the potential for developing health problems. The best and most cost efficient solution to your water problems may be to install a Gig Harbor water filtration system, fully customized to your unique situation. The quality of your water matters. Whether you're concerned about the viability of your drinking water, or are simply considering a water softener to battle hard water issues, our experts can design and install a Gig Harbor water purification system that will solve your problems. Don't take any chances with your water. Contact us today at (253) 630-7177 or (800) 377-7401 and find out if you would benefit from an Gig Harbor water filtration system. We keep our overhead low and our margins modest, so you will likely be surprised by how affordable your Gig Harbor water purification setup will be. Gig Harbor is located across the Tacoma Narrows from Tacoma on the beautiful bay in Puget Sound in Pierce County. For many hundreds of years, the Puyallup band of the Twa Wal Kut Indian tribe had a permanent camp as well as a longhouse at the head of the harbor. In 1841, explorers from the Wilkes Expedition discovered the well hidden location of the harbor, and since they entered the bay in a small captain’s gig, named it Gig Harbor. Three white fisherman arrived in the harbor and elected to make it their home in 1867. Having distinctive Scandinavian and Croatian communities, Gig Harbor became a thriving fishing village during the next few decades. Boat building yards and lumber mills flourished. The most practical form of transportation continued to be ferries and boats until 1950, when Tacoma was connected to the Gig Harbor Peninsula by the second Tacoma Narrows Bridge. Having a population of about 800 people, the year 1946 brought the incorporation of Gig Harbor as a town. However the community grew steadily as the result of its close proximity to Tacoma. The population of the community increased to 7,126 people according to the census that was taken in 2010. This represents a 10.20% increase in the population since 2000. Although the fishing heritage of the community has been preserved in the 17 watersheds that line the waterfront, the primary industry in Gig harbor of fishing has been replaced by tourism. For protection a captain named Charles Wilkes took a small boat known as a Captain’s gig into the harbor during a heavy storm in 1840. Sometime later, he named the sheltered bay Gig Harbor with the help of a publication of Wilkes 1841 Map of the Oregon Territory. Along with several immigrants from Croatia, Norway, and Sweden, a fisherman named Samuel Jerisich arrived in the Gig Harbor region in 1867. In 1888, a man named Alfred Burnham platted the new community. In 1946, Gig Harbor was formally incorporated. Up until the 1940 building of the first Tacoma narrows bridge, the local economy was dominated by logging, boat building, and commercial fishing. Up until that time steamships were the main transportation method between the nearby economic center of Tacoma and Gig Harbor. Beginning in 1836, steamships began traveling the waters of Puget Sound and this eventually became known as The Mosquito Fleet. Gig Harbor couldn’t be reached by horseback or automobile other than by means of a very arduous an long trip south around Hamersley Inlet and Puget Sound because the community was isolated from Seattle and Tacoma by the Tacoma narrows and Puget Sound. However, the result of the first bridge collapsing only months after it was built was a shot lived economic boom. It wasn’t until 1950 that another bridge was built because of the demands on resources caused by WW II. During the interim, a ferry service ran by the state provided passage directly into downtown Gig Harbor. Just outside of the mouth of the harbor at the southeastern end of Harborview Drive, the remains of the ferry dock are stile visible. The region has been converted into a small park where there are beautiful views of Mount Rainier, Point Defiance, and the Cascade Mountain Range. Gig Harbor and the adjacent regions soon started to become a suburb of nearby Tacoma following be second Tacoma Narrows Bridge was built in 1950. As families left Tacoma preferring the waterfront lost and tree lined neighborhoods that were available on the Gig harbor Peninsula, the region first saw considerable development of residential areas. Primary residences replaced what were once summer cabins for those who commuted daily to Tacoma via the bridge. All across the Gig harbor Peninsula, the development of medium sized housing increased. In order to service the increasing population of residents, there was also a considerable amount of retail development during the 1980’s and the 1990’s. These days, the Gig Harbor downtown area is a very active place with recreational, dining, and shopping activities available on every block. Recently, the last large amount of waterfront property that remained undeveloped has been developed into the headquarters of the Russell Foundation, named after George Russell, who is the founder of Russell Financial. In 2007, a new Tacoma Narrows Bridge was opened next to the current bridge. This has doubled the previous capacity. This opening of the new bridge will bring new benefits as well as new economic challenges Gig Harbor Peninsula and the surrounding regions. Gig Harbor has been especially careful about preserving its past. The site of CO Austin’s old mill is now occupied by the Harbor History Museum and the museum has installed many historical symbols next to the waterfront. A Gig Harbor Waterfront Historical Walk is also hosted by the museum. This walk is oftentimes used by strolling tourists. 17 of the historic watersheds in the harbor, such as those large sheds that are used for storing fishing equipment and nets have been preserved as historic attractions for tourist. Some are on pilings over the water and some are on land. Some are still being used by the descendants of the Croatian fishermen who constructed them.